Brown marmorated stink bug is a serious horticultural pest native to East Asia. It damages crops, infests ornamental plants, and seeks out shelter over the winter causing massive problems for homes and businesses. Fortunately we don’t have it in New Zealand yet, but in order to keep it out we need to know what it looks like. 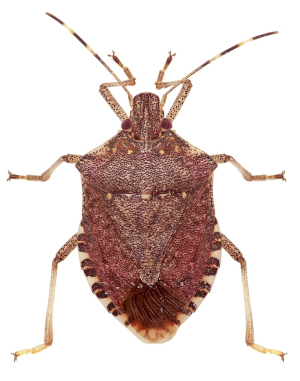 In this post I show you how to tell it apart from other New Zealand stink bugs.